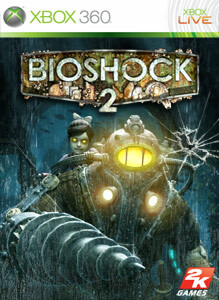 It must have been difficult for development on BioShock 2 by 2K Marin. They would have to walk a delicate line with this game in order to appease everyone who believed that there was no need for a sequel to arguably the best game of 2007. They somehow managed to accomplish this for the most part, and can now take a deep breath. Instead of revisiting old areas of Rapture, we're able to visit new locations, interact with more new characters and one of the most important shifts that this game brings is putting us into the role of a Big Daddy. With this change comes new gameplay elements and a surprisingly fun multiplayer mode that will give this game some great re-playability. 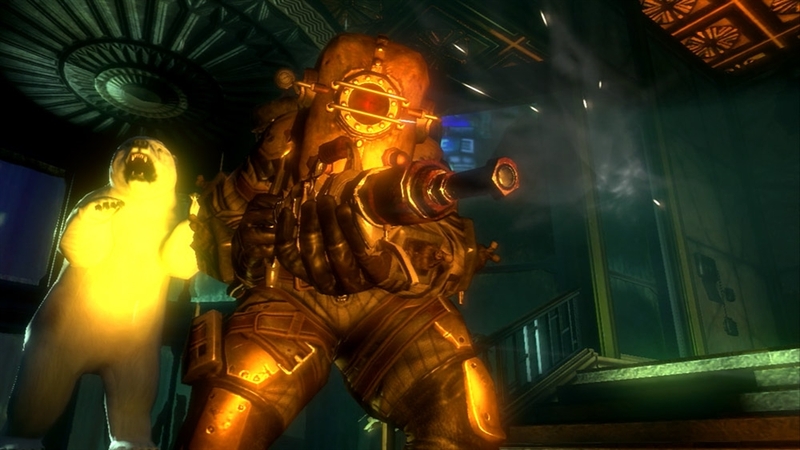 BioShock 2 puts us as Delta, an early version of the Big Daddies we took down in the original game. Although these types can bond with other Little Sisters, Delta was made to have one connection with a Little Sister named Elanor. A few things occur and you f ind yourself awake 10 years later and starting your search to find the girl. It's a great story overall, a does contain a few twists and turns that do a good job keeping you interested. 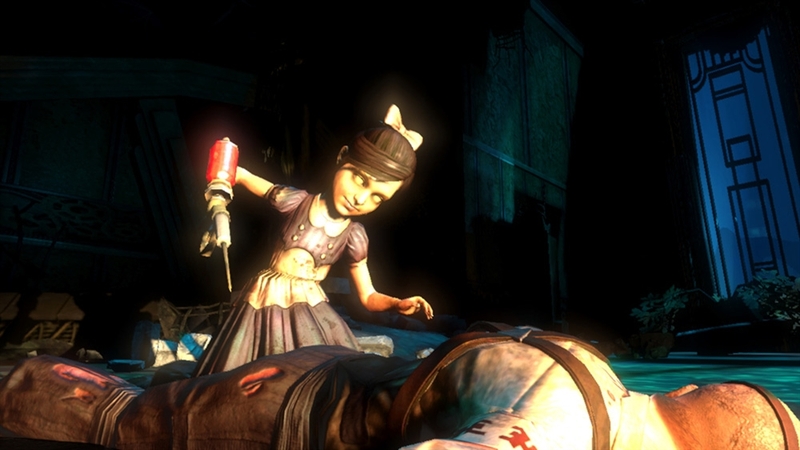 The singleplayer seems much shorter, but with achievements based around playing through again, BioShock 2 is game that can be played through a few times to better understand the story. The change to being a Big Daddy allows you to protect the Little Sisters in order to gain some precious ADAM. The girls can help you find bodies to explore that contain ADAM, and will extract it for you as long as you protect from splicers in the time needed to gather the ADAM. There are usually two or three Little Sisters in each level, and once you Adopt, Harvest or Save them, you will have to prepare for the Big Sisters who will do their best to kill you for your actions against the Little Sisters. Like you, they wear suits of armor, except they are more agile and can do some serious damage with plasmids at their disposal. Gameplay hasn't changed that much, but the combat has received a great improved that will help you dispatch of splicers and other enemies in a more interesting way. You can now dual wield, with a plasmid for your left hand, and a weapon in the right in order to set up some deadly combinations. The addition of the drill for the Big Daddy and other weapons only they can wield, you can better defend yourself while exploring the new areas of Rapture. The original plasmids are back, and can now be charged when you buy certain upgrades. The Multiplayer, developed by Digital Extremes, is actually pretty fun and contains some great action. 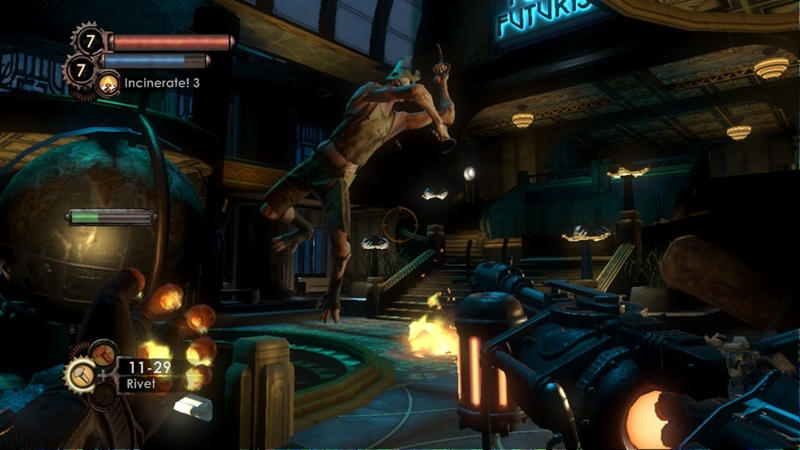 The game is an experienced based mode with up to 40 levels to reach, and each level will bring new weapons, tonics, plasmids, and attachments to unlock. 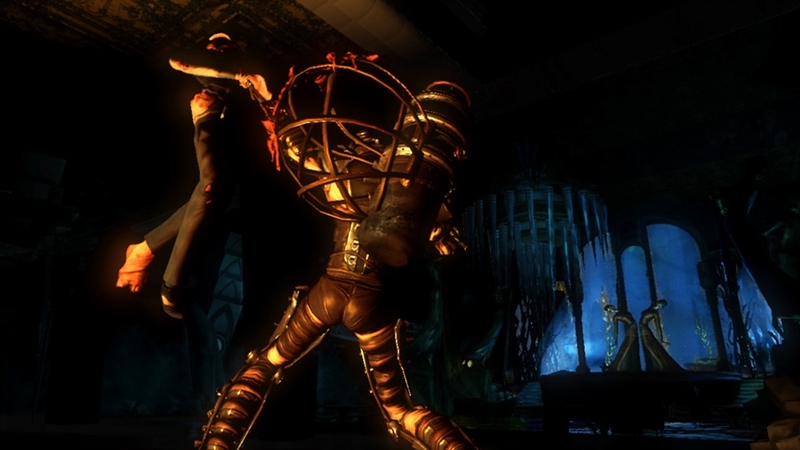 The Game modes consist of the typical Team deathmatch, Free for all modes, and objective based game types that all feel familiar with some BioShock magic sprinkled into the multiplayer. The use of plasmids really makes it stick out though in the multiplayer field, and a great addition to play after you have played the single-player over and over. 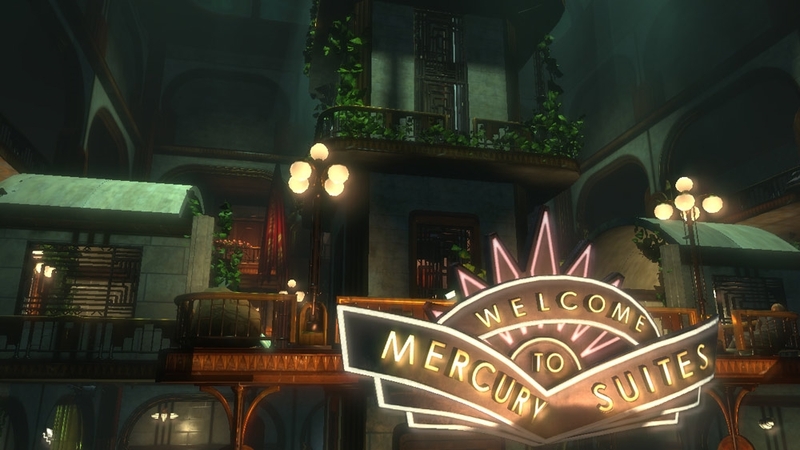 Overall the feel of BioShock 2 is one that can't recreate the exact feel of the first game, but it does a great job of showing us more to the mysterious world of Rapture.